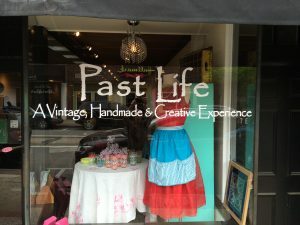 Hello and thanks so much for visiting Past Life Designs. It had been my dream for many years to start my own business. In June of 2015, I had an amazing opportunity to take a leave of absence from my current job. I had been working as a middle school guidance counselor for 8 years. I loved my job, my students and my co-workers. I was so fortunate to have a job that I enjoyed and looked forward to each day. However, the emotional investment and long commute left little time or energy for creativity. It would take me weeks, sometimes months, just to complete a project. I knew that I would never be able to start a business and keep a full-time career. So I made the daring yet slightly insane decision to take a leave of absence from my job and start Past Life Designs. 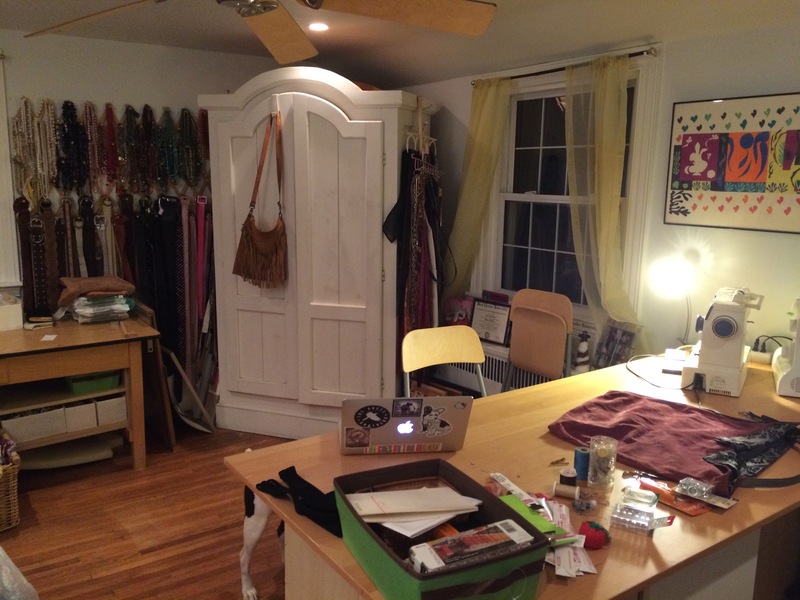 I worked from home for a year, making purses and handbags out of repurposed materials. At that time, my Mom’s health was also not doing so well, so the leave of absence also afforded me the time to spend with her. Before the end of the year, I knew I had to make a decision whether to return to my old job or take on something new and creative. In March of 2016, Past Life-the shop, was born! My Mom and I saw it as a great opportunity to downsize her enormous collection of antiques and tchotchkes and provide a space and venue for my creative endeavors. And what an amazing experience it was. The community of Media, Pa was so welcoming and supportive. My shop became a gathering place of shoppers, friends and community members. I could not have hoped for a better experience. A lot happened in those 2 years. Unfortunately, my Mom passed away just a few months after I opened the store. She was never able to come see it but I would FaceTime with her and walk through the shop so she could see all the changes happening. She was very proud of me and was happy to know that all of the treasures she had collected over the years were going to new homes to be loved and cherished again. (You can read more about my Mom and other posts over the last two years on the Blog page). When my lease ended this past March, I knew it was time to move on to the next adventure! Although I’m not 100% sure what that will be just yet, it does include some travel, creative projects and some new business ventures. This Online Estate Sale is just the start.